Duckling will be sure to delight children of any ages. Their sheer adorableness will make them an instant hit. They make for a totally awesome present for birthdays. 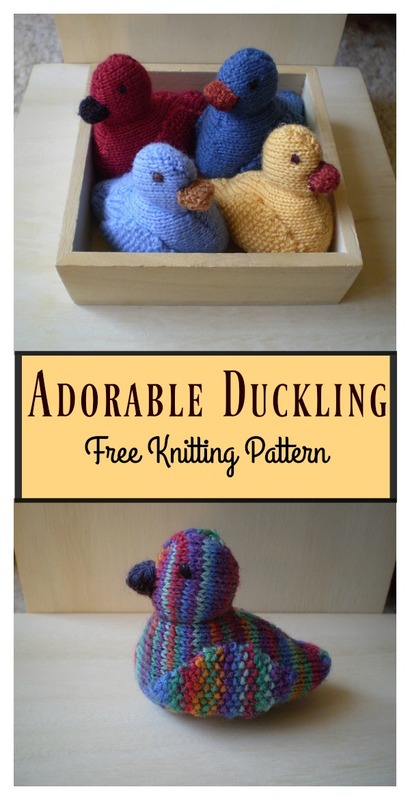 This Adorable Duckling Free Knitting Pattern is a great stash buster. It can be knit in any weight yarn simply by increasing or decreasing the needle size. The main part is knitted sideways in one piece, leaving just the wings and beak to knit separately. They can be decorated in lots of different ways, using embroidery and accessories to make a truly individual duck. Have fun. You might also like Amazing Crochet Bird Amigurumi Free Patterns.